that move us to action–slowly in some instances, more quickly in others. More and more, research is showing that stories designed with classic story structure have the power to move mountains–and us–by altering brain chemistry, and as a result, behavior. The following short video is a narrative version of such research, told by lead investigator and neuroeconomist, Paul Zak. As the story goes, Zak and his team created a narrative story about a young father struggling with his 2-year-old son’s cancer diagnosis. They also created a fact driven story as a control and recruited subjects to watch both types of story. They measured blood levels of oxytocin and cortisol in both groups and then asked both groups to donate money to charity once they had finished viewing the story. What the team found was that viewers who watched the narrative version of the story had higher levels of both oxytocin and cortisol, and donated a greater amount of money. What this tells me is that we are putty in the hands of a good storyteller—and that good movies should come with a warning similar to taking a sedating drug—don’t sign anything important for 24 hours after viewing! What will you do with the empathy our healthcare stories evoke? Will you act on what you feel in 2014? Sometimes, good storytelling needs only a few words–or none at all. Thank you for reading — peace, love & joy. Thanks to Apple for their creativity, heart and holiday spirit. Resident physician leaders are now invited to apply to attend a week-long, immersive learning experience with leaders and educators in patient safety, along with patient and healthcare advocates at the 10th Annual Telluride Patient Safety Educational Roundtable and Resident Physician Summer Camps. Residency programs will be responsible for covering travel, lodging, and meeting registration fees for their attendees. MedStar Health, COPIC and CIR have been generous supporters of past Telluride Resident Summer Camps, and have sponsored many resident physician alumni, who are now change agents at their home institutions. We are again grateful for their support and participation in our 10th year! Over the last nine years, interprofessional leaders in patient safety, communication, informatics, human factors, patient advocacy and education have met in beautiful Telluride, CO to address patient safety issues. Because of the growing interest and number of resident applications, a second patient safety summer camp was added in Washington, DC in 2013. The Telluride Roundtable Vision is to create an annual retreat where experts in patient safety come together with patients, residents and students in an informal setting to explore, develop and refine a culture of patient safety, transparency and optimal outcomes in patient care. The 2014 Patient Safety Summer Camps will again use an immersive, interactive format to examine ethical, professional, legal and economic issues around patient safety, transparency, disclosure and open and honest communication skills when medical errors and adverse events occur. 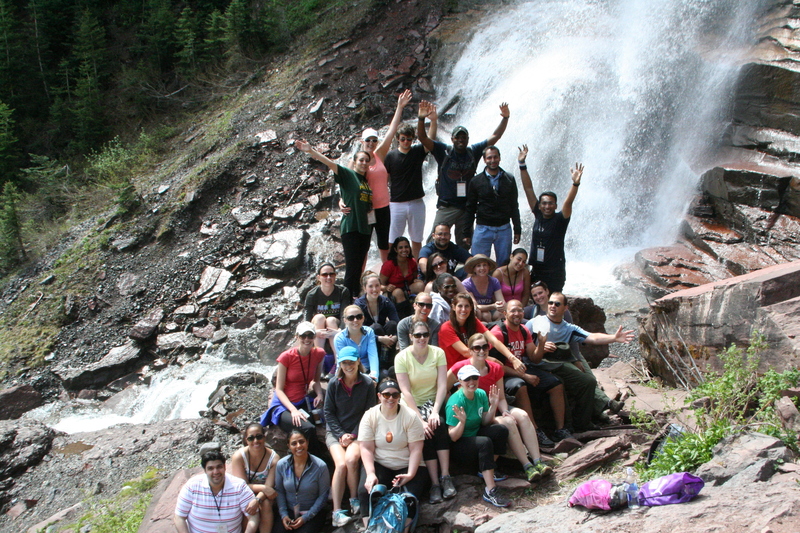 Through the generous support of The Doctor’s Company Foundation and MedStar Health, scholarships are now available for 40 medical and 20 nursing student leaders to engage in an immersive experience with leaders, educators, and advocates in patient safety at the 10th Annual Telluride, CO and Washington, DC Patient Safety Educational Roundtable and Health Science Student Summer Camps. The student scholarships cover travel, lodging, meeting registration fees and many meals during the week. Over the last nine years, interprofessional leaders in patient safety, communication, informatics, human factors, patient advocacy and education have met in beautiful Telluride, CO to address patient safety issues. Because of the growing interest and number of student applications, a second patient safety summer camp was added in Washington, DC in 2013. The Telluride Roundtable Vision is to create an annual retreat where experts in patient safety come together with patients, residents and students in an informal setting to explore, develop and refine a culture of patient safety, transparency and optimal outcomes in patient care. The 2014 Patient Safety Summer Camps will again use an immersive, interactive format to examine ethical, professional, legal and economic issues around patient safety, transparency, disclosure, and open and honest communication skills when medical errors and adverse events occur. Payments to hospitals whose accepted charges were above the national average for those 100 procedures added $5.3 billion dollars in excess cost to CMS. Two of the top 100 procedures accounted for more than 10% of the total costs – major joint replacement (6.1%) and septicemia (4.6%). Major joint replacement payments varied between $9,000 – $39,000 per procedure and septicemia payments varied between $7,500 – $44,000 per treatment between hospitals. 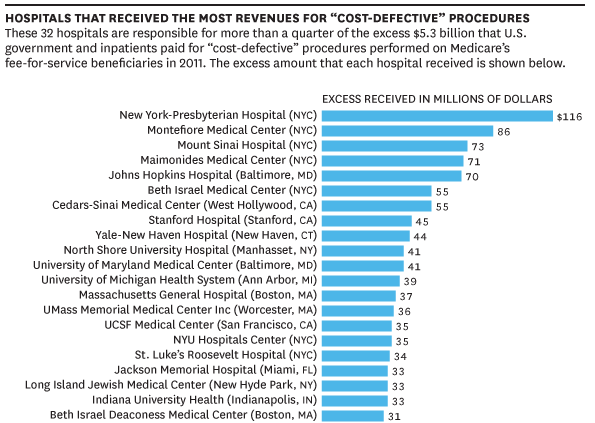 Less than 1% of the over 3,200 hospitals included in the data (32 hospitals) accounted for about 25% of that excess cost – over $1.25 billion dollars. By Six Sigma definition, what they were being paid was three standard deviations from the norm. How are they doing it, and perhaps a better question is, how are they justifying the difference? I understand and appreciate the issue always raised when data like these become public…”Our patients are sicker than everyone else’s patients” but 5-7 times sicker? After reading the HBR post, I couldn’t help but stop and think that these 32 hospitals appear to make the bottled water marketing teams look like amateurs.